Ooh wow, this is something I HAVE to try. 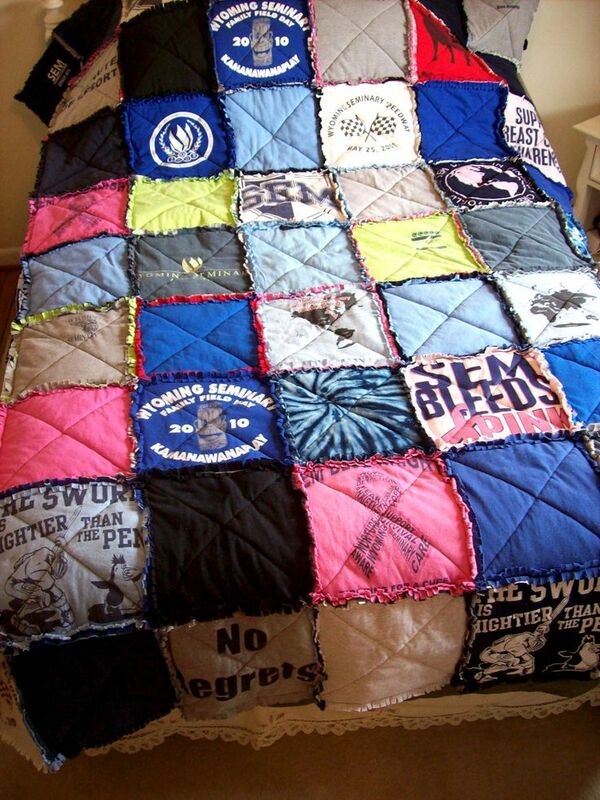 My fiance has a whole lot of old shirts that he's left me to play with, so I think I'll do something like this with at least one! These are amazing for wearing over a bikini on the beach. Here is a tutorial I've actually tried. It looks a lot better with a tight fitting shirt, as it really does accentuate the detail. Also, I think that these look a lot prettier with a strappy top rather, showing some flesh really seems to work with this look. This next one is a tutorial that I'd love to try, but unfortunately I don't think it'd look too good on me. My neck tends to look strange when my clothes sit too high up! Still a gorgeous idea though. Wow! Now this one is something beautiful. 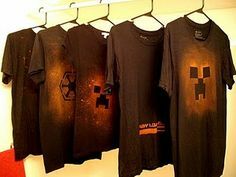 When I make this, I'm going to use one of Brandt's old black shirts and bleach it at the ends. You can use a bleach pen (like the first two photos below), but these can be very pricey. If you can afford it then great! But otherwise I just use the back end of a paint brush (the wooden part) and dip it in bleach. Just make sure that you're always careful when working with bleach, it can be dangerous. Some common techniques for bleaching involve dip dying and spraying the bleach over a template. 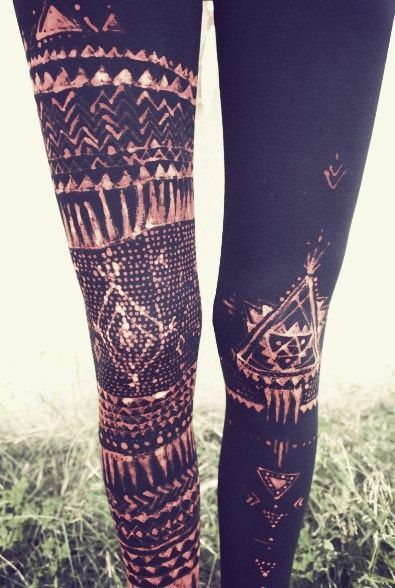 I love this idea for tights! Unfortunately I don't have the right body shape for wearing detail on my legs, but I would certainly do this as a detail on the sleeves of a long sleeved shirt! This is a stunning idea... But then again, I'm a little bit tie dye crazy! There are lots of beautiful ideas on the same site, so go have a look! I'll be very surprised if you haven't seen this idea yet! It is one for the more adventurous and patient, but I think that it's absolutely brilliant. 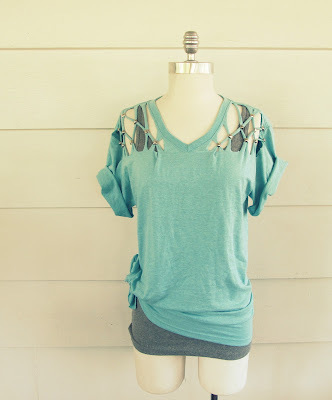 No one wants to let go of their favourite shirt, so why not make it into something else? 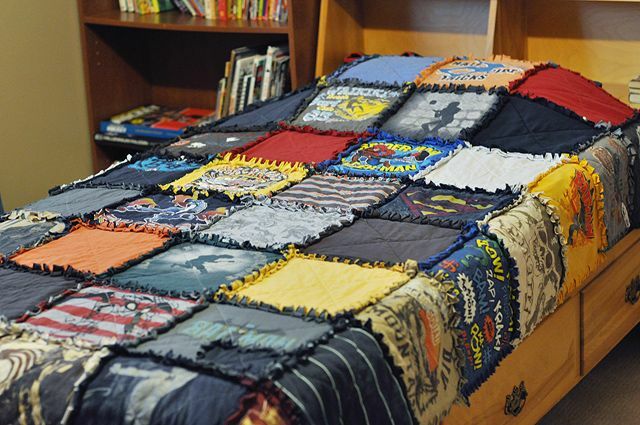 I'm busy collecting old shirts of Brandt's that he can't wear anymore and I plan on doing this quilt as a pressie at some stage. Can't I just have every shirt of mine look like this? !